Every Wednesday night at 7:30 I get together with a small group of friends at HC to study the Bible. Our class is called "Radical." We decided to begin 2013 studying the Sermon on the Mount, and over the last two weeks we have made it through two sentences of the great sermon. 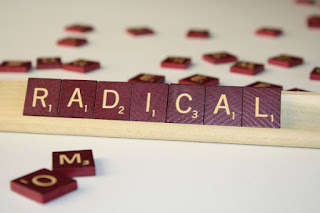 I can't speak for anyone else, but I am grateful to God for reminding me over the last couple of weeks about the premise of our Wednesday night group -- that the Bible is radical: that we serve a radical God, who desires us to have a radical faith, and ultimately, who wants us to live a radical life for Jesus. We live in a time when the church is in decline and, more disturbingly, a time in which the church seems impotent -- powerless against the tide of eroding morals, values and virtues. It is a cycle the church has seen before, and may well see again (depending on when Jesus returns). The problem, in my view, is spiritual. The problem, in my view, is complacency. The problem is that we have settled for a watered down gospel. The problem is that we resist REALLY putting Jesus at the center of our lives, REALLY surrendering ourselves to Him and REALLY humbling ourselves. We have trouble understanding the idea, much less believing, that we are poor in spirit. One of my favorite sermons of all time focused on the idea that there are, and always have been, two types of Christians. Paraphrasing a bit, this preacher described the first group of believers as people who generally try to do the right thing, who do good works from time to time, who "abstain from gross evils," who regularly attend church and so forth. Though these Christians are certainly redeemed by the blood of Christ, their day-to-day lives are for the most part indistinguishable from non-believers. The preacher described the second group of Christians as people who not only avoid any appearance of evil, but as people who are zealous to do good works of all kinds, who take up their cross daily, who constantly strive to achieve God's will at the expense of their own pleasure and who "agonize without intermission" to achieve a life of Christian holiness. I want to emphasize that the point of this sermon was not to condemn or criticize the first group of Christians. Instead, the point was to remind us that the Holy Spirit invites and prompts all believers to pursue a "more excellent way." Like faith itself, God issues the invitation but gives each of us the free will to accept or reject His offer. I am not by any means suggesting that I myself have made any real progress in my own pursuit of the "more excellent way." There are many things in my life that bring no particular glory to God. What I am saying is that I am grateful to be part of a Church that is not afraid to challenge us, no matter where we are on our walk with God, to do better. I want to live a Spirit-led life. I want to pursue Him in greater and greater measure. As I have thought about "the Church" with it's various forms and denominations, it has occurred to me that just as there are two types of Christians, there are also (at least) two types of Christian leaders. There are leaders who are probably content to get a certain number of people in the door every Sunday and who earnestly desire to leave those people in a slightly better place than where they started. There are leaders who have no real expectation that their congregations will be markedly distinct from their neighbors. Their are leaders who probably are afraid that if they don't give their congregations what they want their ministries will fail. And then, there is a more excellent way of leadership. There are, without a doubt, leaders in the Church today who are far more concerned about what their congregations need than what their congregations want. There are leaders in the Church today who have a desperate desire to get closer and closer to God themselves, and who desperately want the same thing for the people they serve. There are leaders in the Church today who want the saints in their congregations to shine like the lamp on the hill -- to truly be salt and light to the world. 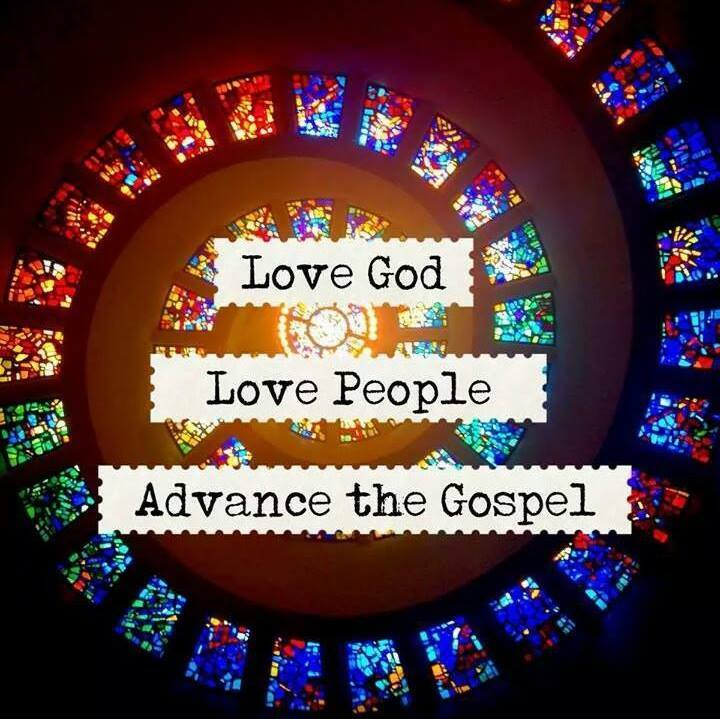 There are leaders in the Church today who are less concerned about the "personal happiness" of the people in their congregations than they are about challenging their flocks to roll up their sleeves and work together to spread the Gospel throughout the world and to disciple believers. There are leaders in the church today who truly love the people they serve. Leaders who share in the joy of the people in their congregations and mourn when they mourn. There are leaders who, no matter how "successful" they may be, approach their responsibilities with great humility -- secure in the knowledge that God has called them despite their limitations, their imperfections and their own struggles. The fact that God has called you to leadership should, above all things, be incredibly humbling! One of the things that really strikes me about the Sermon on the Mount is where Jesus starts. If it was me, I probably would have told people about the incredible hope, power and blessing that we have in Jesus. I would have told folks about salvation and about the incredible transformation that awaited them. But Jesus started with words that would likely not resonate with 2013 Americans. He did not start with a message about getting what you want out of life and getting it now. He did not talk about the virtues of being a self-starter or about having the courage to pursue individual ambitions or dreams. He began by focusing on the condition of our hearts. He began with our reality -- fallen people in a fallen world. And to the broken He offered the great hope.